If you are tired of long haul flights, no worries because Qantas has done something about it. 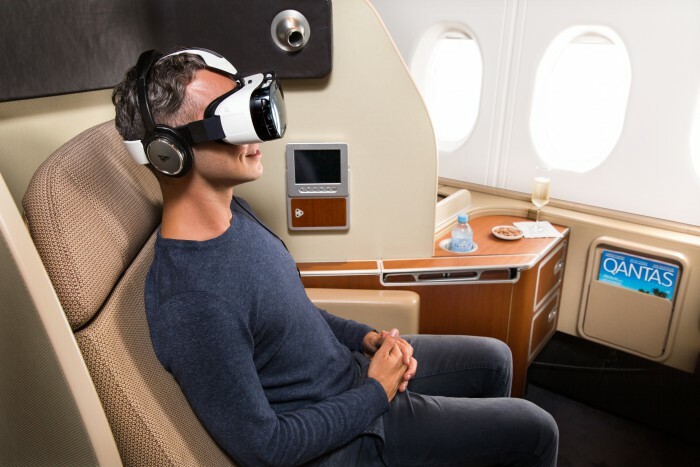 The second oldest airline has partnered up with Samsung to launch a trial Gear Virtual Reality (VR) so that every first class passenger can have a better in-flight experience. A limited amount of VR headsets will be available to passengers on selected Qantas’ A380 for trial purposes. 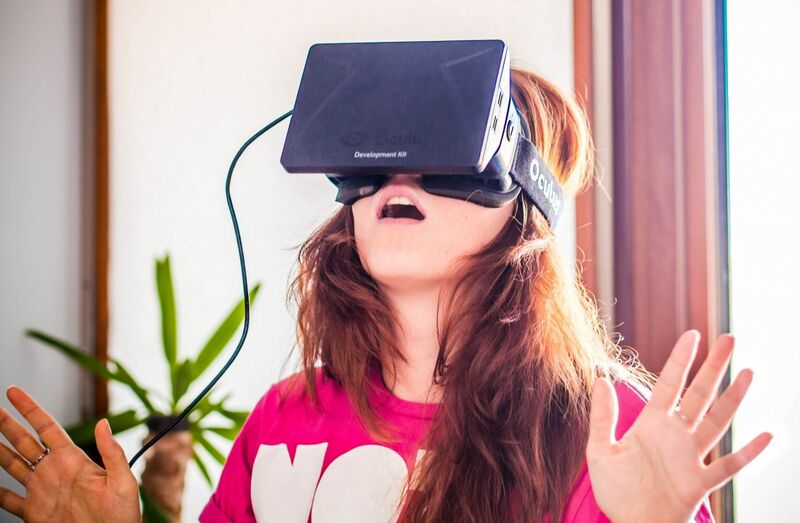 The VR headsets are designed to offer a more vivid and virtual entertainment experience. 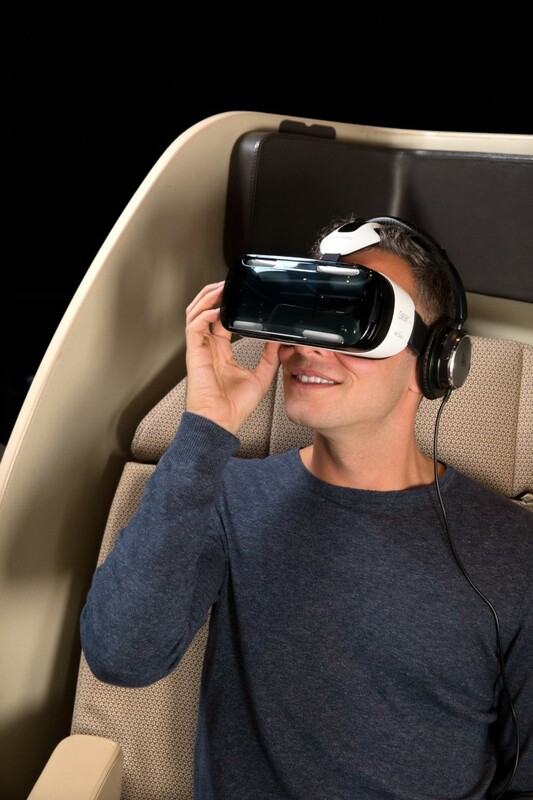 With a click of a button, you will be able to enjoy a fancier in-flight entertainment experience because the VR headsets allows you to watch 3D films in a 360 degree interactive format and other content such as showcasing different sights of network destinations and the latest in-flight box office. As time goes by more content will be added depending on how passengers evaluate this new installment. Olivia Wirth, the brand, marketing, and corporate affairs of Qantas Group mentioned that this technology will definitely open up a new world of inflight entertainment for customers. “Whether the user wants a virtual tour of our new Los Angeles First Lounge or experience an A380 landing from the tarmac, this technology gives us a completely new way to connect with our customers,” said Olivia. Arno Lenior, the Chief Marketing Officer from Samsung Austration, mentioned that the VR technology would amaze the travelling public. “We believe Samsung Gear VR, one of the latest innovations from Samsung, will open new worlds for Qantas customers who experience the technology for themselves,” Arno said. The duration of the trial runs is three months. The VR headsets will be featured in the First Class Lounge in Melbourne and Sydney from mid February between Australia and Los Angeles in the First Class cabin from mid March.